If your gaming experience began way back to the get go when Atari was cool-and still is-having to play those retro video games over again can bring a lot of good memories. But one guy began modifying the classic Atari 2600 and turned it into a portable gaming device, which instantly turned him into a geek god. 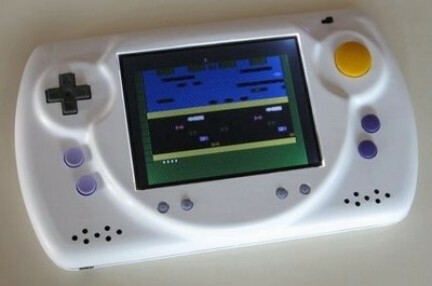 Marshall H, who has previously turned Nintendo N64 into a handy portable, has introduced his newest creation called "Multari" which featured 32 classic games from Atari-land that you can easily switch at a push of a button. The chassis features a 5-inch LCD screen in a not-too-bulky, vacuum-formed styrene plastic case, with not clunky cartridges to carry around. Sadly, since this is a customized modification which he painstaking constructed manually, Marshall H has no plans of mass-producing this crafty gadget. Let’s pray that the guys from Atari Inc. pick this up, pretty pretty please.